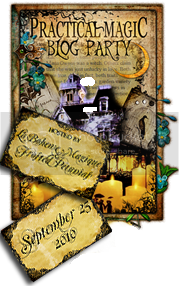 "Isabelle Thornton" Le Chateau des Fleurs: Practical magic Party or Witches Party! Practical magic Party or Witches Party! Why do you make this face? Do you like the eye bowl shakes? Did you guys invite him? Ok, now...they are everywhere...Never mind! Let's eat! Little sister...have you used that spell? You know the one that raises dead people? Wow, you did a great job! My kids will love it! You are so awesome and fun! And I love that you gave the okay to have a party with just your family :) so many people save their special dishes, or only clean extra well for guests. But the people in your household are the most important and worth it more than anyone! I am totally agreeing with Leah!! Your kids will remember these moments with their mom and dad (which by the way, I think is way up there in my books for being a totally cool dad for joining in on all the fun parties too)for the rest of their lives. You are a great mom! do you EVER have a boring day???? seriously, you look like you always have so much fun!!! love it. I've really been having a hard time just thinking about summer ending and fall beginning. Looks like a little "practical magic" might do the trick to get me inspired! What fun!!! Frenchy!! What a fabulous post...beautiful enchanting and magical..gorgeous photos and beautiful sweets and your family is adorable! So much fun at your house! Thanks for the great post. I LOVE those Oreo cookies with the hats!!!! genius!! What a great idea! How do you make those cookies? I've never seen the orange variety before. Making memories is the BEST. This is so cute! Love the food and your chandelier! i want you to be my mommy!! what a fun post! all i need is an eye ball shake! loved the whole thing! xoxo! WOW!! That looks like a lot of fun. Love it all. wow now I am hungry. Great post I love it when families all get involved together! The recipes are coming up...This was fun to make...A lot of work but a blast! I love Halloween...I don't do creepy...I love funny and cute! Hugs to all. I love all the little treats!! Now that's what I call true dedication! :) Thanks for sharing all those gorgeous photos! I'm suddenly feeling very hungry! Thank you for having me over to your blog party! I had a lot of fun and all the food looked wonderful! Wow, now that's practical magic! OH MY GOSH! Looks incredible! I wanna move in! Thank you for participating in the Practical Magic Blog Party! thanks for dropping by to visit... it brought me back here to you... blessings. the children are adorable and oh my gosh i dont even know what to comment about there's so many great things to look at!!! the witch hat cookies literally made me dribble!!! youre so creative and talented..
hope you have a wonderful magical witchy day! cute family and oh such fun! Yum! What wonderful TREATS for the PM Party! Adorable children! Thanks for sharing the little bit of witch in you! Such great little witches, and mummy too! Oh wow, this is beyond amazing!!! All the pics and everything you made--it is stellar...and I love your chandelier--wow!! Wonderful party post! Your pictures are wonderful! !Stop on over to enter my giveaway too! Brightest Blessings! Wow! I love the post! Your family is sooo cute and the food looks so yummy! Excellent! I love how you share all your work and great, creative ideas. Another...WELL DONE. This is SOOOO cute! And it's making me hungry. Those mummy sandwiches are great and it's been forever since I've had the Halloween Oreos. YUM! this is all so very cute and fun- the food looks so yummy. your post will be great inspiration when i plan my lulu's party!!!!! Oh, those eyeball shakes are awesome! Lovely post and so much magic...luved it! What fun photos! A blast! Really cute and I'll bet the kids had a great time! You sure conjured up a very magical post. The food looked yummy and your children looked awesome. Hi there! I'm still making my way around the party and I'm so glad I landed here. What a fabulous party you're having. Your little witches are adorable and all the sweet treats look sooo good. LOVE that cake! And I just adore your chandelier as I am quite partial to dressing up a chandelier on a moments notice. Thank you so much for joining our party and for adding to the magic and fun! Practical Magic is one of my favorite movies! It seriously inspired me so much that my best friend and I are starting out own all natural apothecary of lotions, fragrances and all that good stuff just like Verbina Botanicals, (Sally's shop)! Hope your week is going great! We got our engagement photos taken yesterday, it was so much fun!!! sooo MAGICALLY FUN!!! I can't believe even your hubby joined in...now that's a catch! (hold on to him, LOL) What a great post...I so miss my children being young, I used to do all this stuff with them. Gosh i miss doing all the little fun things with them, (even though most of the time I wanted to pull my own hair out...2 of my 3 are ADHD, one of them is also ODD and they are only 14 months apart...it was because of these 2 that they tested hubby and I...cause my oldest is not and his child is not, but our 2 together are, results: he is ADD, I am ADHD--my family had pretty much already new this about my brother and I when the diagnosis finally was being talked about, it was like a light bulb went on) anyway sorry to have gone off on a tangent. I THOROUGHLY enjoyed your post, and seeing your family having so much fun together, cherish these days, before you know it, they are grown and want to be with other people, and parties and jobs and college classes, and the house becomes lonely. I wish there was a spell to stretch it out. Wow! You seriously know how to party it up. What fun. LOVE all these ideas! I am hosting a HALLOWEEN RECIPE linky party today and would LOVE for you to come link up your ideas...i will be doing it every tuesday from now until halloween! Oh, wow, you really did it up big. I love your Practical Magic party. I missed it this year but planning on joining in on the fun next year. I love the photos. What a great little party you had. What a great party! The witch hat cookies and bread broom sticks are so clever! Thanks for sharing your great ideas. Oh my goodness, this is amazing!!! Great job on everything! Great party post. It look so very magical and a lot of fun. Super cute!! Love it! Great Mom!! What a wonderfully fun party you had! You always have the best party ideas. Not only do I love practical magic, but I love the idea of having a party with just your family. Oh I love Halloween! Your decorations are fabulous and it looks like so much fun for your family. Thanks for the great idea! I love that you throw parties for just your family. I tend to go overboard and go huge, but I really should do them for just my family sometimes. Your inspirational! Thanks for linking up to Topsy Turvy Tuesday's. That is such a one of a kind party. I do love your ingredients to make the party perfect. TY for sharing the ideas. Wow!! What great details! Would you adopt a 53 year old? This looks like it was such fun. I loved it all. Great costumes and amazingly beautiful food! Man, you do it up right, girl! I feel like clapping lol . *claps* that was brilliant and fun ! I want more . I love halloween and your chandelier? it was bootiful . Wow! You really put a lot of work into that, and it turned out so cute!!! The broom breadsticks were particularly fun! The kids all look like they had a ball! What a wonderful party you threw for your family. I love that you did it for them! Clever food, clever decorations, great pictures and prose. This was a fun stop for Alphabe-Thursday's letter "B". Yummy foods, great decoration, and fantastic presentation! What a fun party! I love the witch's hats. First of all, who gets 82 comments? haha That, in of itself is pretty impressive. Second, great family party! You get the creative mom award! So fun. I am glad you showed the guestly ghouls too. We always do a Halloween inspired dinner too. I love my pictures over the years. So much fun. You really did a lot of work and you put the post together in such a cute way too. Great! How fun, how so very fun! Everything....I love Halloween! How fun! Thanks for inviting us to the party and giving us these fun ideas. "PRACICAL MAGIC" is one of my FAVORITE all-time movies! Halloween was our favorite time of year when we were young. We would start planning our costumes when September came around, and school started. Everything was home-made! On Oct. 31, my dad would show scary movies in our carport. My kids STILL love Halloween!! Our traditional Halloween dinner is chili. I would cook it in the morning, because kids would line up outside my door in the afternoon to have their Halloween make-up done! The witch kisses, eyeball shakes, & mummy dogs look fun. And the costumes all had me smile! Great pictures, great ideas and an obviously great party. Thanks for linking up to Motivated Monday. I hope you add in all the links to the recipes. I need the eyeball shake one for my next party. Or think I could use it for a family wedding in October? Looks like you and the family had a blast! I love the pictures! Thanks for linking to Crazy Cute! I am always so impressed by the themed parties you throw, once again you are definitely the coolest mom on the block:) Love what you did to the light fixture and your cute cake! Thanks for sharing with us at A Crafty Soiree! Please join us next time too! How fun! I love the cake and the cookies you made! Thanks for linking up for Friday Favorites! What fun! Great treats and some very cute witches! How inspirational! I must try something like this for Halloween. Thank you so much for sharing with us.